These are so cute and super easy to make! Sure, egg dyeing is fun, but it doesn’t yield cookies in the end. So if you’re looking for a way to have some fun in the kitchen with the kiddos this Easter, this is just the activity for you. 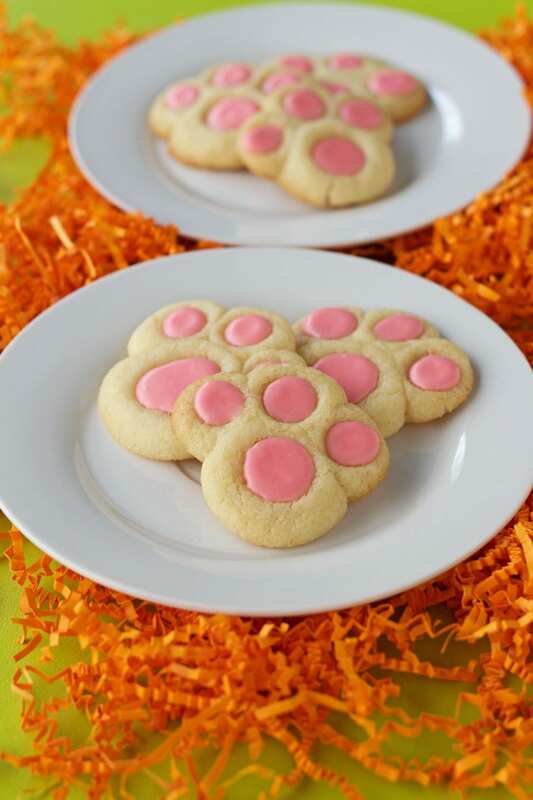 These Bunny Paw Thumbprint cookies are almost too cute to eat, and they’re easy for kids to help out with. So, baking a batch or two of these might just become your new Easter tradition. 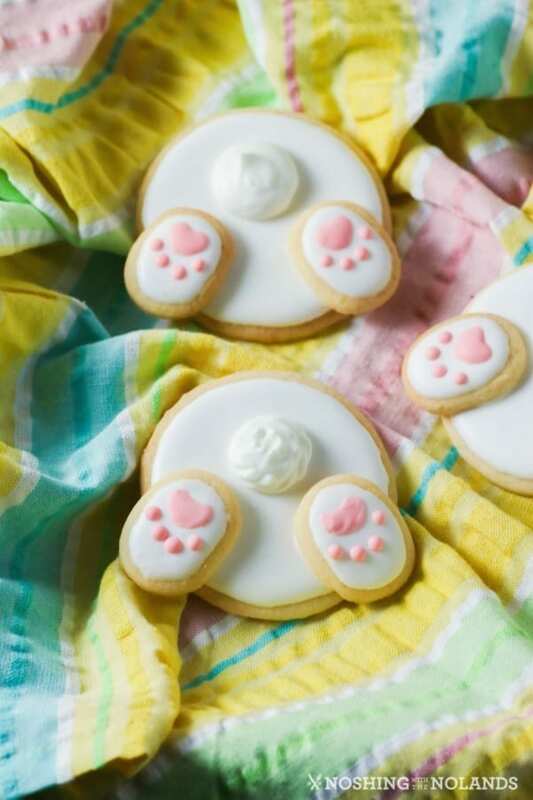 The recipe comes from The Bearfoot Baker, and it demonstrates how you can completely transform regular Betty Crocker sugar cookies into adorable little bunny paw prints. Start by simply making the cookie dough according to the package instructions. Then form the dough into balls and arrange them into paw shapes. You’ll bake up cookies that resemble little bunny tracks in no time! Using the back of a measuring spoon, you’ll create indentions into each of the paw pieces while the cookies are still warm. Then, once the cookies have cooled, you’ll add a bit of icing into each of the indentions you created. The icing is made using powdered sugar, milk, food coloring and a bit of vanilla extract. It’ll add a pop of color and a bit of sweetness to each bite. If you’re having too much fun with these bunny shapes, you can also make these bunny bum cookies by using a similar method. This recipe from Noshing With The Nolands shows how to take a circular cookie and add two small oval shapes, so you’ll wind up with a cookie that resembles the backside of a fluffy, cotton-tailed bunny. When necessary, you can use a thicker icing, made using confectioners’ sugar, meringue powder, water and food coloring, to decorate the white bunny base, tail and pink paw prints. Last, but certainly not least, is the option to make an entire bunny instead of just creating bunny parts. 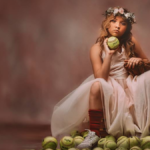 It’s actually much easier than you might expect. This recipe from Fun Loving Families shows how you can create the bunny shape you need using a gingerbread man cookie cutter — who knew? 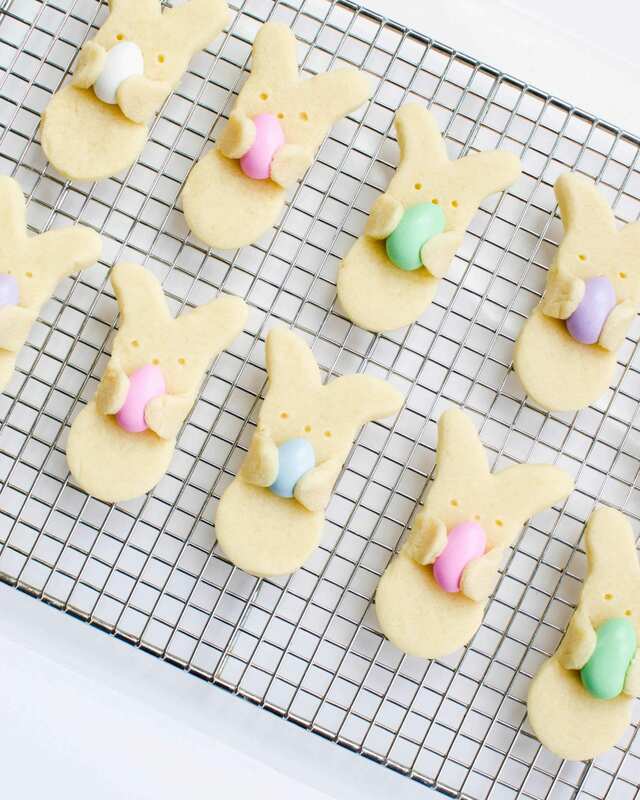 No matter which bunny-themed cookie you make, you’re bound to have some fun in the kitchen with your little ones. So, hurry up and get to baking just in time for Easter! Which one of these Easter-inspired cookie recipes will you try first?